A highlight of novels written by Val McDermid is the tight control she maintains over her complex plots that are enhanced by believable and complicated characters. The same can be said about other top crime writers, but McDermid brings something special to the table as she shows in her latest novel about detective Chief Inspector Carol Jordan and psychologist-profiler Tony Hill. 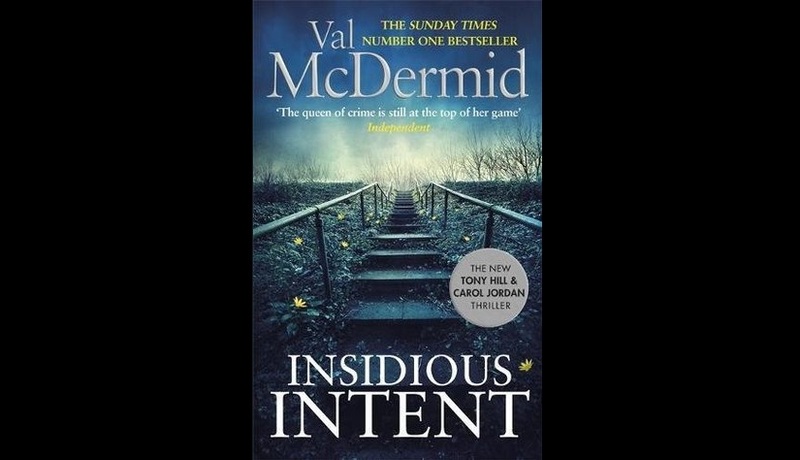 Insidious Intent delivers an incisive British police procedural that illustrates how a tight-knit squad works together and how a behavior profiler can add to the investigations. The case is always paramount in this series but equally important is the relationship between Carol and Tony that has developed over the years. Not only are they close friends who care deeply about each other, but, in their own way, they love each other. Yes, they irritate each other, but they also depend on one another in ways they can barely verbalize. ReMIT — the Major Incident Team that Jordan now heads — investigates its most unusual case. Single women are being killed and then placed in their cars, which are set on fire. The only link seems to be that each woman attended a wedding where she met a man who seemed too good to be true. While the team investigates, Carol still feels guilty that the dismissal of her drunk-driving arrest resulted in cases against other drivers being dropped, and one of those drivers then killed several people in an accident while drunk. The intense plot moves briskly. McDermid keeps each twist believable while delving into the personal lives of other ReMIT squad members. The author’s expert exploration of the human experience has never been better.